- WWE has updated their key performance indicators, estimating the buyrate for WWE Money in the Bank at approximately 200,000 buys. The show did 195,000 buys last year and 165,000 the year prior. In South Africa (as well as all other countries carrying the international version of Raw), WWE has begun piping in commentary and removing any reference to the original 3-hour runtime. Raw&apos;s shift to 3 hours has really hurt the quality of the international version which, without ad-breaks, only runs for 45 minutes. 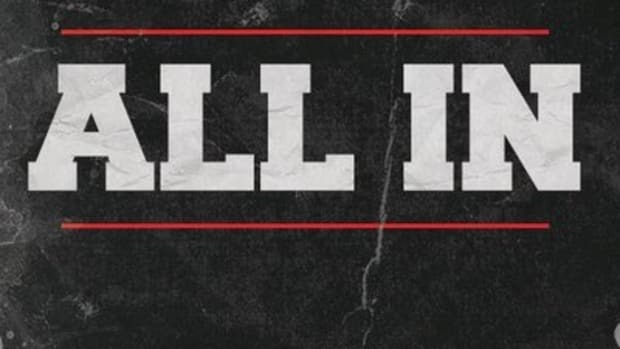 Matches are heavily edited down to less than 5 minutes and even with the social media bits removed, the show is dominated by backstage and in-ring segments as well as countless video promos. WWE Shop has just released a Wrestlemania XXVIII 20-0 Undertaker plaque. It has a collage of several pictures, his autograph, as well as a piece of the ring rope used at Wrestlemania. The plaques are limited to 1000. Here is the link. Booker T will be at Fan Expo Canada this weekend in Toronto. From what I have been told, he will be there to promote his book "From Prison to Promise" due out in September. - Rogers Communications Inc. is in the process of acquiring Score Media Inc., which broadcasts all of WWE&apos;s programming in Canada. You can read coverage by The Globe And Mail at this link. - Tommy Dreamer and Mikey Whipwreck were at WWE headquarters in Stamford, Connecticut this week apparently filming material for the WWE Network. You can view a photo Dreamer Tweeted at this link. - WWE in the classroom? Apparently so for an Ohio teacher that won a national teaching award. Check out coverage here on dot com. - WWE has officially announcedSheamus vs. Alberto Del Rio for WWE Night Of Champions next month. - Bill DeMottwrote on Twitter that he "heard some buzz" about Tough Enough getting "up and running" when asked about a new season. "CM Punk and I obviously had a difference in opinion. He had a way of showing me what he thought about my opinion. I&apos;ve been thinking a lot about it, and maybe this coming Monday night, I might show Punk what I think of his opinion." - Chris Jericho told Live Audio Wrestling the plan was for him to return to WWE for five months and leave at the end of May. "I went to Connecticut to meet with Vince [McMahon] last year after SummerSlam and my plan was to come back in December, do the month of vignettes, then work January to the end of May, and then in June we were supposed to embark on the tour for &apos;Sin and Bones,&apos; because originally it was supposed to come out in June," Jericho said. "Then when I found out that the record wasn’t going to come out until mid-August, I said, &apos;Well, I’ll stay for another three months, until the end of August.&apos; Until SummerSlam, basically. I kind of re-signed and extended my deal for another three months at the beginning of May." For those wondering why their relationship isn&apos;t the best, I&apos;m told Hunter has never seen Foley as a "star" and as a result buries him every chance he gets. In fact, Triple H was even believed to have slowed Foley&apos;s return to WWE. - After this week&apos;s WWE Raw went off the air, John Cena beat Big Show in a dark match main event. Can I clear up this rumor about me not getting along with Triple H? Triple H is the man responsible for bringing me back to WWE. I am very happy in my role as WWE Ambassador, and have a variety of WWE projects due out in the next few months: a children&apos;s book, a set of cards that I did the writing for, and the WWE13 game that I am apparently featured prominently in. I am hoping to use the release of the book to become a much larger part of WWE&apos;s "Be A STAR" campaign. WWE has gone out of their way to clear considerable chunks of time for me, including the Montreal and Edinburgh comedy festivals and the upcoming Singapore Writer&apos;s Festival (more on that in a few days) and February tour of Australia. And if I ever feel like I need a quick Foley fix; like I absolutely need to hear thousands of people chanting my name? Well,pretty much any house show I want to appear at is just a phone call (or text) away. There is no higher form of flattery for me than showing up on another WWE Superstar&apos;s highlight video. I was thrilled to be there three times for Triple H.
Bottom line: I&apos;m happy. I&apos;m part of the company I love, and I get to try things on my own. Thank you, Triple H, for bringing me back to WWE. While Foley is correct Hunter has played a role in bringing him back in WWE, he&apos;s also the reason it wasn&apos;t easy. It&apos;s not that Hunter has any personal issues with Foley it&apos;s just he feels Foley doesn&apos;t look like a star and shouldn&apos;t be a top guy. It&apos;s the same issues he&apos;s had with him since the 90&apos;s. Ultimately, The Rock went directly to Vince McMahon last year which is what led to his return to the company. I was told at the time Hunter enjoyed watching Mick sweat. You can read my initial report from October 2011 at this link. - After a reader asked me in this installment of the WNW Premium Mailbag the whereabouts of Christian, I did some further investigating. I&apos;m told Vince McMahon recently gave a directive to make sure Christian is not prominently featured on WWE television until after the company has fulfilled their commitment to TNA Wrestling. For those asking what commitment, WWE still owes TNA one more appearance by one of their contracted talents as exchange for their usage of Ric Flair over Wrestlemania XXVIII weekend earlier this year, and that talent is Christian. Christian is set to appear at TNA&apos;s Bound For Glory pay-per-view in October and is expected to be advertised by the company. Vince wants Christian to "be cold" when he appears for TNA which is why he&apos;s been tossed to the back-burner after a TV loss to Antonio Cesaro. While I wasn&apos;t told this, I can only assume this has to do with TNA&apos;s ongoing litigation against WWE. - The Herald Sun has a brief article online mentioning that WWE Champion CM Punk and Daniel Bryan are "strict vegans" with quotes from Big Show. The publication notes Show enjoyed a 20-egg omelette, milk, juices and a tub of ice cream for breakfast? "I tend to over-eat when the food is good, but I&apos;m not a glut. I don&apos;t drink, though an occasional glass of beer makes me happy. "The thing is to be hungry all the time. But I&apos;ve got the power to keep my hunger under control." The publication reports John Cena ate eight eggs and oatmeal for breakfast, chicken and vegetables for lunch and the same for dinner. You can read the piece at this link. I&apos;m talking to the WWE about doing somethings. I love the energy and excitement and the live component. It&apos;s theater on a grand scale! - Apparently the tag team of Justin Gabriel and Tyson Kidd will be calledInternational Airstrike. 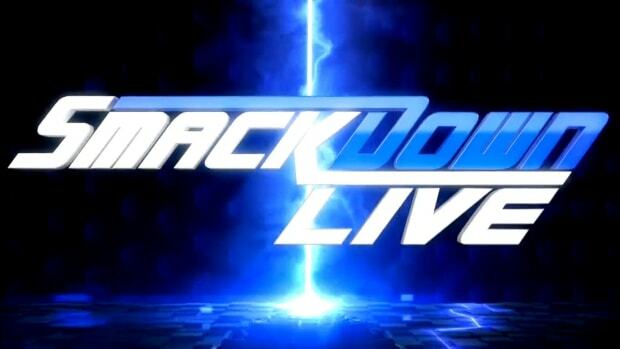 - After this week&apos;s Smackdown taping, WWE will return to the Resch Center in Green Bay, Wisconsin on Thursday, December 27, 2012. Tickets go on sale on November 10, 2012. - Despite working Raw live events last weekend, there are plans for Wade Barrett to work on the top of the card on upcoming Smackdown shows. Given the fact the brand extension is essentially dead, I wouldn&apos;t read too much into it. - Floyd Mayweather says he is returning to WWE at Wrestlemania XXIX next year. - It was announced during this week&apos;s Smackdown that Layla will defend the Divas Championship against Kaitlyn at WWE Night of Champions. Kaitlyn became the #1 contender by winning a Divas battle royal on the August 20 edition of Raw. - WWE Diva Cameron (also known by her real name, Ariane Andrew, during her time on WWE Tough Enough) was arrested in Hillsborough County, Florida at 2:44 a.m. on August 24 for Driving Under the Influence. She was then released on $500 bond. The police report indicates that she refused to undergo a test in order to measure her blood alcohol content. In addition, her occupation is listed as a sales associate at Wells Fargo. Click here to view her booking page and mugshot. - Photos of Brodus Clay in the new WWE Studios film No One Lives are online at this link. The film will premiere at the Toronto International Film Festival next month. - Lilian Garcia has wished The Undertaker and Michelle McCool congratulations on the birth of their child. We first learned Michelle was pregnant at the beginning of the month and confirmed she was due any day. What would you say are the biggest differences between touring for the WWE and touring with Fozzy? Well, Uproar [Festival] notwithstanding, we’re playing bigger venues with the WWE, so they’re all arenas and stuff like that. Whereas with Fozzy, it’s more clubs and theaters. With WWE, everywhere I travel, I travel by myself, whereas with you’re in the band, you’re on the bus with everybody else. It’s a much easier vibe to travel by bus, especially in Europe because with the WWE there is a lot of flying. Short flights are hard because you’ve got to get to the airport, you’ve got to check in, you’ve got to go through security, then you’ve got to wait, then you’re on the plane, then you take the flight, then you’re off the plane and you wait, then you get your bags, you go to transportation, then you go to the hotel. The bus is kind of your one stop shop. You get on it, you hang out, you get off it, and you’re at the next gig. So, there is a little bit of sanity in traveling by myself, which I love with the WWE, but it’s way easier to travel with Fozzy on the bus for sure. It makes it a lot less of a hassle to be traveling for long periods of time when you’re in your own little world that you never have to really get out of. I don’t do it at the same time. I mean, that’s impossible. So I mean, when ‘Chasing the Grail’ came out, I left the WWE the last time and went into the whole album cycle and it was just all Fozzy all the time. You know, tours go in blocks. You may be gone for three weeks, or four weeks, or five weeks. Then you come home for two or three weeks, or four weeks, or five weeks, so that’s a lot easier. With the WWE, it’s non-stop, but you get two, or three, or four days off a week. You get bigger chunks of time off when you’re traveling with Fozzy, but you get more time away from home with the WWE. I just like being on the road. I’ve been on the road ever since I was 19 years-old, so it’s something that I do, and it’s something that I always do, and I’m just glad to have Fozzy growing to where we’ve grown. When wrestling is long gone, I’ll still be traveling the world with the band and that’s a pretty cool feeling. Has there ever been tension within the band due to your absences with the WWE? No, because everybody is always doing other stuff too. Like I said, for the first two or three records with Fozzy, we were doing them both at the same time, but with ‘Chasing the Grail’ we really sat down and said, “We really have a chance to do something here.” Lets put all of our effort in this and do this full time, and that’s what we did. Now that we have this momentum behind us, the side projects are kind of just that; the side. I’m getting ready to finish up with the WWE next week .. and then it’s full-time Fozzy for the whole album cycle. The only reason why I came back this time to the WWE, for the nine months I was back, is because we were recording a new record and my contribution is writing the lyrics and singing. I had all the lyrics written before the record started, and then once we started recording, I’ve got 15 days of work and other than that I’m not doing anything. So, it was a perfect time for me to come back to the WWE for not a short run, but a decent size run. Like I said, the record is coming out, it’s time to go back full-time with Fozzy and see where the road takes me then. "It&apos;s not up to me. I&apos;ll fight Muhammad Ali, I&apos;ll fight Rin Tin Tin, I&apos;ll fight anybody. Steve Austin knows that. He&apos;s got a bum wheel, he said? We&apos;ll see about next year, see what&apos;s hurt or injured or what else the excuse will be come next year. I&apos;m not a hard guy to find, I&apos;m the WWE Champion." "Make no mistake about it, WWE&apos;s no joke, any Sunday I could lose this title, I could lose this title tomorrow. I don&apos;t plan on it, but I&apos;m saying that the possibility lies within. I have to hold on to this... I have to hold on to this until The Royal Rumble so I can shut Rock up myself, because that&apos;s what I&apos;ve wanted to do for years and I&apos;m gonna get my chance... Rock, you know what&apos;s comin&apos; for you. There&apos;s a reason why he&apos;s been silent, and it&apos;s not because he&apos;s busy shooting a movie, he knows this time he&apos;s finally bitten off more than he can chew." The report says Cameron blew a .20 ... more than twice the legal limit in Florida. After cops took her into custody, the report says Cameron offered one of the officers $10,000 to "let her go because she would lose her job." In the docs, cops say Cameron listed her employer as the WWE. Cops say Cameron had a male passanger in the car ... who told police the two had been drinking martinis before getting in the car. Cameron was booked for DUI ... but eventually released. A rep for WWE ... "Ariane [Cameron] did not alert us to this matter, we are investigating and will take appropriate action." - WWE was actually interested in bringing John "Bradshaw" Layfield back to the company to fill the color commentary spot opened on Smackdown by Booker T. I&apos;m told Layfield only wanted a one year commitment but WWE didn&apos;t want anything shorter than a two year dear, as they didn&apos;t want to be in the same situation a year from now. Mick Foley was also under consideration for the spot but I&apos;m told it&apos;s a "tough one" due to Triple H loving to bury him every chance he gets. Add that to the fact some feel they&apos;ve "been down that road" before and most do not see him getting the spot. - Richard Ingrassia of Roth Capital Partners has upgraded WWE&apos;s stock from "Neutral" to "Buy." You can read an article on the upgrade by The Associated Press at this link. - WWE has announced they will broadcast the 11/19 episode of Raw from the Nutter Center in Dayton, Ohio. Tickets go on sale Friday, September 14, 2012. - David Otunga and Jennifer Hudson filmed an appearance for Oprah. The episode will air on September 9, 2012. “I just theoretically retired Chris Jericho,” Ziggler said. “I’d been such a fan and paid such close attention that there weren’t too many (surprises),” he said. “But it’s like any other job. There’s politics involved, there’s being friends with different people, knowing what to say and what not to say. - Wrestling News World reader Logan Walker also sent word that dot com posted a review to the latest WWE Studios production "The Day" that is now in theaters. Click here to read it. - The daughter of Michelle McCool and The Undertaker was born on August 28, 2012 and was named Kaia Faith. This is Undertaker&apos;s fourth child as he had Gunner (19-years-old) with his first marriage and daughters Chasey (10-years-old) and Gracie (7-years-old) with his second marriage. “Honestly, for years it was frustrating,” Ziggler said of the eight-plus year journey that has been his WWE career. “It just goes along with everything that has happened in my career. I plugged along to make my college wrestling team. I wasn’t recruited. And then when I made it, I became the best on the team to where I could get a scholarship. And I got a scholarship. Nothing has been handed to me no matter what I’ve done, in life or this business. - Cameron did not accompany Brodus Clay to the ring at today&apos;s WWE Raw live event in Sydney, Australia as he was only with Naomi. Cameron, who was popped for DUI earlier this week, traveled with the roster to Australia. - Alberto Del Rio was on The Abe Kanan Show to promote next Monday&apos;s WWE Raw in Chicago, Illinois. In it, Del Rio talks about the awkwardness of leaving the venue of a WWE show in a cheap rental car when he comes out on television in luxury vehicles. He said about two months ago they began putting seat covers on the rentals. Del Rio said his best friend on the road is Drew McIntyre. He said a break-up with Ricard Rodriguez is inevitable and is also "good friends" with Cody Rhodes. The hosts mentioned what happened with Chris Jericho in Brazil and Del Rio said WWE needs to give them some more slack with their characters. - For those that missed it last week here on WrestlingNewsWorld.com Premium, Jeff Jarrett is talking with Royal Capital Corporation about buying into TNA Wrestling. For what this means for TNA including what Dixie Carter thinks about it, read our exclusive article at this link. - TNA Wrestling has announced their Fan Interaction packages for next January&apos;s tour of the United Kingdom go on sale on Friday, August 31. Challenge TV has full details at this link. ABC News: What&apos;s one place in town tourists don&apos;t know about, but should? HH: Hulk Hogan&apos;s Beach Shop, I&apos;m opening it this week. We have everything for the beach and some wrestling stuff too. Editorial note: The shop is located in Clearwater on Mandalay Avenue, on the upper level of the Pelican Walk Plaza. ABC News: Who are you voting for? HH: I&apos;m going to keep that a secret. Click here to read the piece in its entirety. King Mo: "I&apos;m going to pro wrestling school starting next month. I will be making my TNA debut this October." - The TNA contracts of both Devon and Bully Ray are up this week and Devon, the current TNA TV Champion, has announced he&apos;s leaving. TNA is still trying to get Bully Ray to re-sign but no deal has been done as of this writing. While many will speculate they will try to return to WWE, one possible roadblock could be Bully Ray&apos;s strained relationship with Triple H. Another thing worth noting is TNA&apos;s ongoing litigation against WWE and WWE&apos;s reluctance to hire anyone that worked for TNA while Brian Wittenstein worked there. - In yet another TNA contract officially expiring, Ric Flair&apos;s deal is reportedly up the second week of September. The word out of Flair&apos;s camp is that he is also looking to file for divorce from his wife Jacqueline Beems. Beems, who is Flair&apos;s fourth bride, has had police called on her twice for allegedly battering The Nature Boy. - Two men in Iowa have been charged with theft after police say they stole two TNA championship belts at a TNA live event in the city on August 18th. KCCI 8 out of Des Moines reports that Joel Luke was charged with second-degree theft and Forrest Jamison was charged with accessory after the fact. Both men hail from Ottumwa and were released on bond. One of the belts was valued at $6,000 while the other, a replica, was valued at $400. Click here for coverage by KCCI 8. - Christopher Daniels w/Kazarian beat Garett Bischoff with the BME in a match taped for Xplosion prior to this week&apos;s Impact Wrestling taping from Universal Studios in Orlando, Florida. - I heard some interesting news regarding the contract status of Kurt Angle. While he signed a new three-year deal in September 2011 with TNA Wrestling, I&apos;m told years two and three are TNA options. This means Angle&apos;s contract is coming up and my source says TNA is trying to get Angle to take a pay cut. My source says TNA wants to opt out and sign Angle under a new deal at a lower rate. As a negotiating chip, Angle is threatening to return to WWE if they do not meet his demands. However, I&apos;m told WWE has very little interest in Angle and feel he brings more risk than he does reward. It was mentioned to me that Angle is "strangely pretty tight" with Jeff Hardy, however, Hardy has no pull at all when it comes to TNA&apos;s purse strings. At this point Angle isn&apos;t believed to be going anywhere, but he&apos;s trying extremely hard to make TNA think he&apos;ll return to WWE. I&apos;m told they don&apos;t seem to be buying it but it will be interesting to see how it plays out. - TMZ has picked up on the two TNA Championship belts being stolen at a TNA live event in Ottumwa, Iowa on August 18th. According to their report, a "stagehand" was unloading a truck at the venue when they turned away for a "split second." This is when 33-year-old Joe Luke allegedly grabbed a $6,000 TNA Championship belt and $400 replica and took off. Police used surveillance footage to catch Luke and Forrest Jamison, who operated as an accessory. Both men were arrested Wednesday before posting bail and being released. Click here for coverage by TMZ. What is your opinion of Alberto Del Rio? I touched on fans not being sold on either Alberto Del Rio and Sheamus as main eventers in Friday&apos;s installment of Ask WNW but I didn&apos;t give my full thoughts on Del Rio. I&apos;m actually in the middle regarding Del Rio and feel he isn&apos;t as good as some of his fans say he is but isn&apos;t as bad as some of his detractors say either. Del Rio has a good look and can talk; his in-ring approach is more "simple" where he doesn&apos;t try to do too much. I see him as a main event heel but not to the level of some of the better heels in WWE history such as Chris Jericho or Randy Orton, however, I would take Del Rio over other Mark Henry or Big Show. Why is it that WWE doesn&apos;t focus enough on younger talent? The focus seems to be on more established names such as Randy Orton and John Cena. WWE does a good job at developing younger stars while still focusing on their top draws, so I disagree with your premise they do not focus enough on the up and comers. It&apos;s very important to remember there are only a few main event spots available at a time, however, I look at Sheamus, The Miz and Antonio Cesaro, all current titleholders in WWE, as up and coming talent. None are necessarily "younger" but I don&apos;t think anyone is going to argue they are not next in line behind the obvious names of Orton, Cena and CM Punk. I realize Cena has a lot of haters, especially from the IWC, but he is WWE&apos;s top draw and his spot will remain untouched as long as he is their top draw. Tensai wasn&apos;t on television this week. Has Vince McMahon lost interest in him? The Tensai project appears to be over and for anyone doubting it, Matt Bloom put over Big E Langston, a developmental talent, and Tyson Kidd over on weekend live events. We should never read too much into the results at live events, however, the results seem to reaffirm the belief Tensai just didn&apos;t work. With TNA ending the Claire Lynch/AJ Styles storyline on last week&apos;s Impact Wrestling, do you think anything good came out of it? The storyline got people talking so if that is what TNA was going for then to worked. However, I don&apos;t see a payoff but Lynch is leaving TNA after it was revealed she actually works at Universal Studios. Do you feel AJ Lee as General Manager is becoming boring? I am amazed at how quickly many have turned on AJ Lee. Considered the "Internet&apos;s darling" over the summer, several readers have dismissed her under the role as Raw&apos;s General Manager. I&apos;m still intrigued by the work of AJ and do not feel we are far enough in to call it a failure (although we can&apos;t call it a success yet either). Ryback seems limited and boring. What are your thoughts? Ryback has only had a few opportunities with WWE roster members and none of his matches have been anything more than glorified squash matches. I&apos;m not sold on Ryback because of the Goldberg rehash tag but we&apos;ll see where it goes. Vince McMahon is still very high up on Ryback and is still telling the creative team to push him. Is there any real-life heat between CM Punk and Jerry Lawler? There is no real-life heat between CM Punk and Jerry Lawler but both play their respective roles so well it is very convincing. I love how Lawler is able to get over as a babyface more than the majority of the roster. A lot of the younger guys/up-and-comers could learn a lot from The King. Jerry is a guy with an old school mentality the fans almost always connect with. I thought Kane&apos;s part in the anger management class segment was funny but didn&apos;t WWE put the mask back on him to portray him as an evil monster (and not comedic relief)? One could argue no one has booked with more inconstancy in WWE history than Kane. The character goes from evil to comedy in one week with absolutely no reason. How about Kane the commentator? Kane fans get furious when I say this but he&apos;s a reliable veteran the company puts in to "fill the gaps." them going back to two hours? I am not quite sure what you mean "not going as planned" because despite the fact this week&apos;s show left a lot to be desired, it held its own in the ratings. The only way WWE is going to return to two hours is if the show struggles in the ratings as they are making more money in advertisements by going three hours. Is Triple H retiring and if not, when will he return? Triple H signed a new performer&apos;s contract earlier this year that doesn&apos;t expire until March 30, 2016 so there are plans for him to continue wrestling. However, he&apos;s still a semi-retired pro wrestler that is focused on his executive responsibilities for his inevitable succession of Vince McMahon. There are no immediate plans for him to return to the ring hence the second storyline "broken arm" angle. Does WWE&apos;s developmental program follow the same PG initiative as far as promos, head shots and blood? Yes, WWE&apos;s developmental program, now called NXT Wrestling, follows right along with the PG initiative that we see on WWE television. The idea is obvious in that the company wants to season their developmental workers appropriately so the transition for call-ups is as smooth as possible. Has WWE ever considered streaming their commentary in a way where it could be heard by people that attended television tapings? A few years ago I remember the company selling headphones at the merchandise stands in the arena where you could listen to the commentary but I do not believe they still produce them. I agree it would be nice to be able to hear the commentary while attending. Since I never experienced the headphones perhaps if someone is reading that bought them could provide us with more insight. I am surprised John Laurinaitis hasn&apos;t returned to WWE television. Is he back in his executive position on a full-time basis? John Laurinaitis&apos; executive role in WWE has been significantly reduced as Triple H is now running Talent Relations, however, he is still working backstage in the company. As for his on-screen character, we haven&apos;t seen the last of him. I reported here on WrestlingNewsWorld.com Premium that he is expected back "before long." With Devon gone from TNA Wrestling, do you see him coming back to WWE? There are a couple of hurdles before we are going to see Devon back in WWE. One, if he is going to return with Bully Ray, things will have to be smoothed over with Triple H as he and Bully butted heads during the last WWE run of The Dudley Boys. Another thing is TNA&apos;s ongoing litigation against WWE which is currently blocking WWE from signing TNA names. The reason all these workers are walking from TNA is because they are being asked to take significant pay cuts as the company tries to cut roster expenses. Once the WWE Network launches do you think they&apos;ll offer a PG-13 rated wrestling show? WWE may have gotten "edgier" recently, however, Vince McMahon has maintained his commitment to producing PG programming. He has admitted they took PG a little too far but I don&apos;t see the company walking away from PG anytime soon. Anything is possible but by their own admission, producing PG content gives them more opportunities than the edgier programming. With all of the wrestlers that have debuted or re-debuted over the past six months, why is Antonio Cesaro one of the first of the group to be given a mid-card title? Specifically, why was this given to Cesaro over Ryback, Brodus Clay and Damien Sandow? When we broke the news that WWE was talking about putting the WWE United States Championship on Antonio Cesaro in the pre-show match prior to SummerSlam, I highlighted the fact Cesaro is seen as a "now or never" prospect. The company is high up on his size, look and in-ring abilities and they feel they can get him over in a short time. I can&apos;t give you details on why him and not the others but this is the thinking surrounding Cesaro. If the contracts of CM Punk, John Cena or Randy Orton expired would Vince let any of them go? All three are under lucrative long-term and high-paying WWE performer&apos;s contracts. Out of the three, Randy Orton is the least-secure in his job as there was a lot of talk about cutting him loose after his second-documented Wellness Policy violation a few months ago. However, I&apos;m not sure how close WWE was to cutting Orton and many feel they just wanted to scare him. Regardless, Punk, Cena and Orton are the top stars in WWE and have more influence than anyone else. It appeared that CM Punk&apos;s "color" on Raw in his cage match with Lawler was not only ad-libbed, but completely out of character for the new PG-WWE. What are your thoughts? CM Punk suffered a nasty gash in his head during the steel cage match on Raw although there was plenty of talk of him pushing the envelope. Whether or not the blood came completely hardway or part blade job, Punk wanted color and he got it. The blood certainly added to the match, his heel turn and was one of the very few high points to an otherwise lackluster show. Currently, the WWE roster features some wrestlers who are from countries with a not-so-big pro wrestling tradition, such as Antonio Cesaro (Switzerland), Aksana (Lithuania), NXTs Rusev (Bulgaria) and recently signed Frenchmen La Ruffa and di Leo. Do you feel WWE should keep signing international workers in order to expand its viewership? Global expansion is very important to WWE and they are focused on expanding in untapped markets. One market the company wants more penetration in is the country of China. Recently, a WWE executive admitted publicly the company is actively searching for Chinese talent. As for my thoughts, I think WWE should sign as many talented workers as possible. I don&apos;t care where a particular talent is from as long as they possess talent that makes them entertaining. Why is it Triple H and not Shane McMahon tapped to succeed Vince McMahon? Observers with ties close to the McMahon family have told me for years Vince looks at Triple H like the son he never had. The plan has always been [as long as Triple H and Stephanie have been married] for the company to go to Stephanie and Hunter and many feel Shane realized that which is why he moved on. Shane would probably say he wanted to try to be successful on his own. He has acknowledged his decision wasn&apos;t easy and was one that strained his relationship with his father. Vince was not expecting Shane to leave as Shane had done very good work in helping WWE expand globally.